One of the biggest qualms of choosing motorcycle luggage is the long process of fitting it quickly, easily and safely, with the in mind Givi Luggage developed a revolution locking system called Givi Easylock Tanklock system” There are 4 products in the soft luggage collection that use this unique system. Thermoformed tank bags are a new range that will be available in Spring 2011. This new 3D range is designed with the intention of combining safety with the ease of use and lightness. These bags are made from PET laminated (TPH01) fabric or in EVA laminated fabric (suede velvet ) which gives this luggage more stability. The bags can hold full capacity of the load and the lightness beyond a very aerodynamic and sporty design due to the Thermo processed formation of the bags. The new TPH01 (side)-TPH02 (tank) series have integrated exclusive “Easylock” and “Tanklock” systems which are unique to Givi luggage. They make the luggage very user-friendly fixing system, this easy fix locking needs specific mounting kits. Below is a video explaining GIVI’s Tank Lock system. 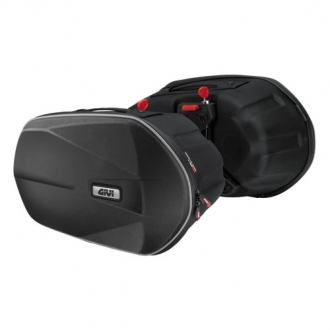 The TPH01 saddle bag also has the unique Easylock and tanklock system which makes the product more user friendly. 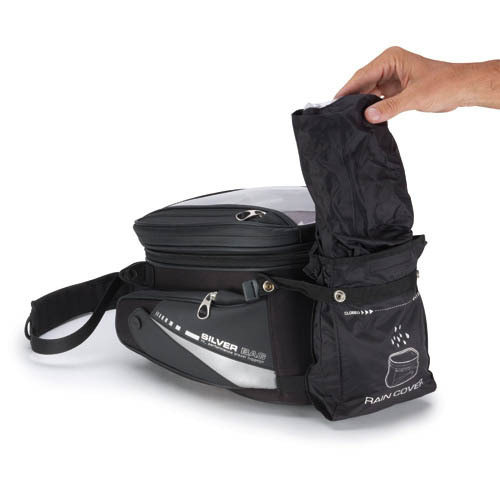 This bag is also Thermoformed with features like a waterproof zip and a rain coat . This bag has a tanklock system which eliminates all the other ways that a bag could have been fastened to the bike such as magnets and straps. This tankbag can be attached by aligning it to the ring that is on the tank cap. Watch the video above to see how this is done.The mounting rings vary depending on the fuel cap type so make sure you check the compatibility list to verify which ring is for use with your model of motorcycle. This bag includes other features like a rain cover, shoulder strap and also a map holder. Just like the other bags in this collection this bag also has the Tanklock system. The other features of this bag of this bag includes waterproof zips, shoulder straps, expandable bag, rain cover, reinforced parts and many other features. 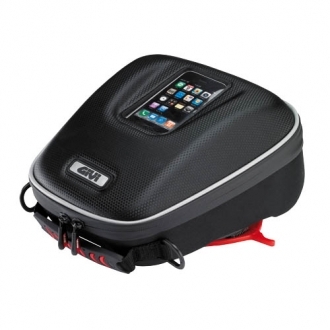 For a full collection of Givi Soft Luggage please visit GhostBikes Official Givi Motorcycle Luggage Department.